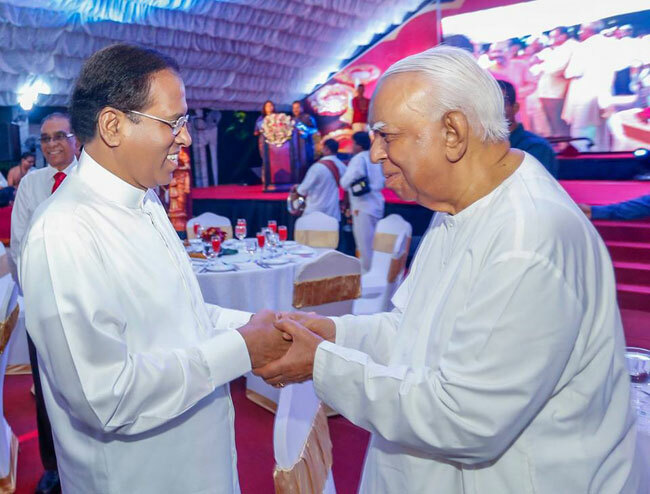 President Maithripala Sirisena and opposition leader R. Sampanthan during Deepavali celebrations held at the President’s House on November 05. Sri Lanka’s main Tamil parties have turned down a call from President Maithripala Sirisena to support his newly appointed prime minister in a likely floor test in parliament this month, the parties told Reuters on Friday. The President’s sacking of Ranil Wickremesinghe as prime minister and appointing former president Mahinda Rajapaksa to the job last month had triggered a political crisis. The President met the Tamil National Alliance (TNA) to persuade the main opposition party to drop its opposition to Rajapaksa in a parliament vote to determine who holds a majority, the report said. Mano Ganeshan, the leader of the Tamil Progressive Alliance, said the president had suggested three options at the meeting.